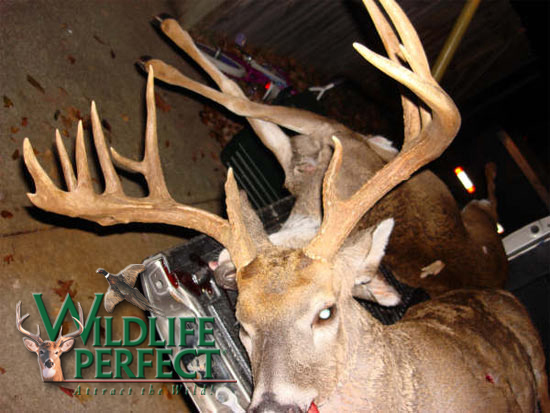 These deer (buck and doe) were harvested in Tennessee on the same day the end of November in a Wildlife Chicory/Clover Mix food plot planted in October. 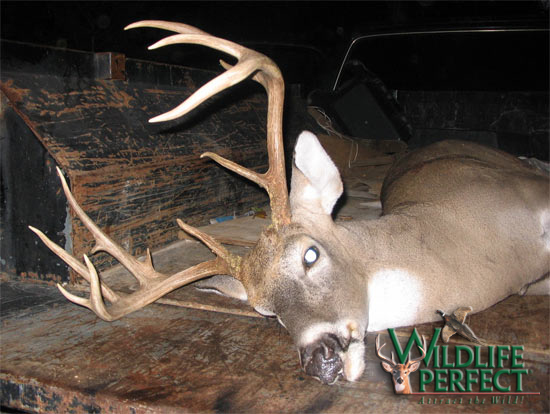 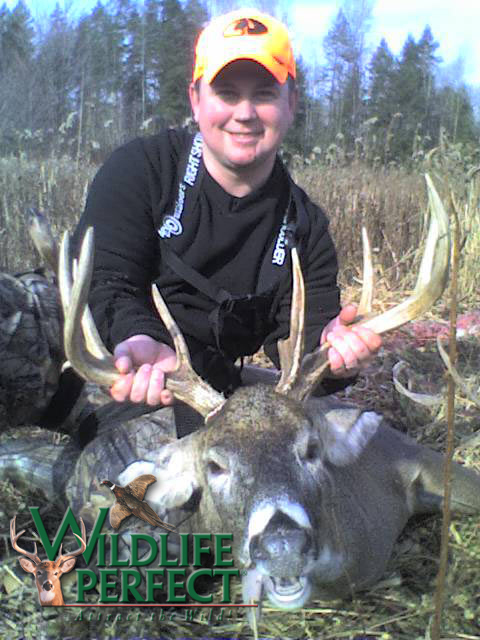 This buck was harvested over a 2 year old Wildlife Chicory/Clover Mix food plot in PA.
Here�s a photo of a deer harvested during bow season in Wildlife Chicory/Clover Mix. 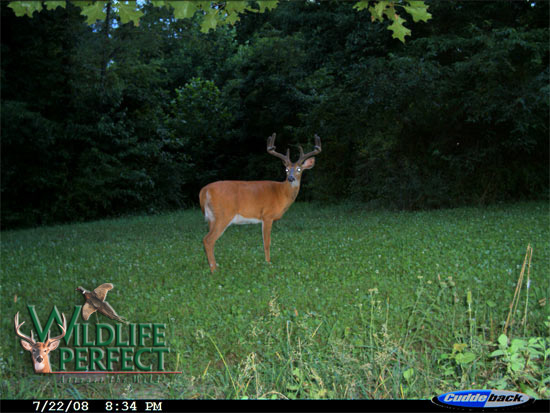 Comments below. 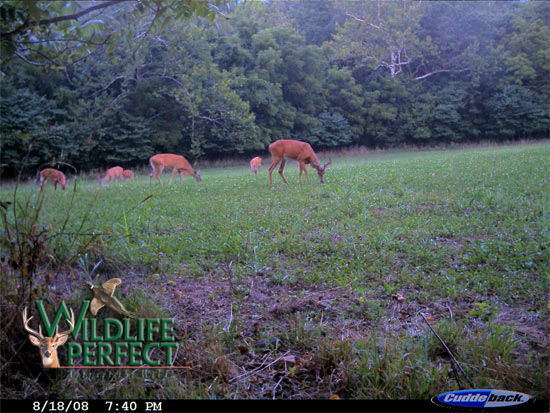 Game cam photos over Wildlife Chicory/Clover Mix plots. 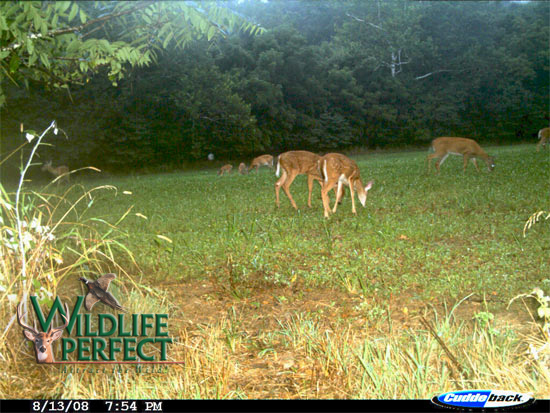 Wildlife Chicory/Clover Mix plot in Northern Virginia...Oh, to have been there then! 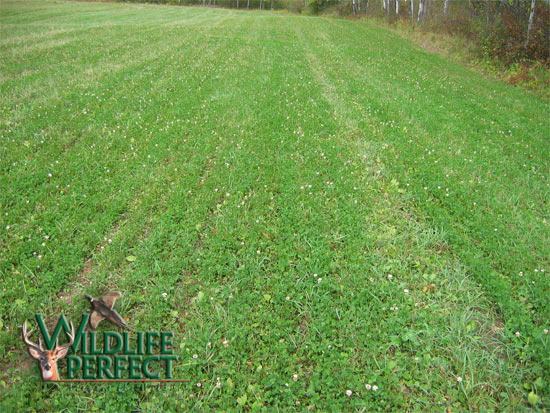 Wildlife Chicory/Clover Mix plot in Northern Virginia. 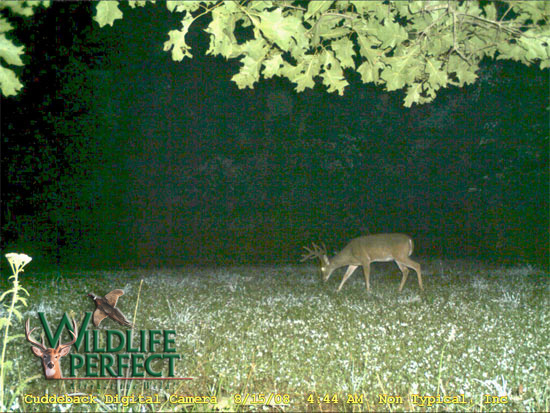 Wildlife Chicory/Clover Mix plot in Northern Virginia. 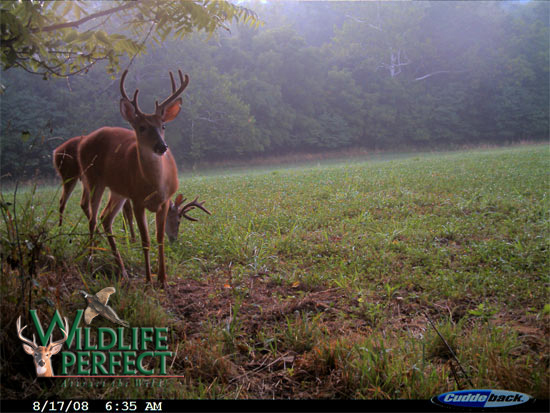 Pretty tasty plot, I'd say.